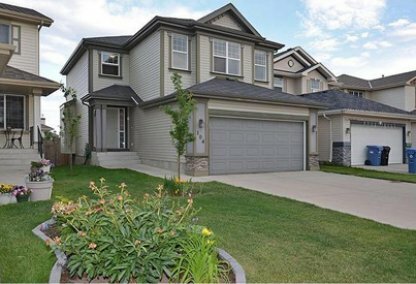 Search Coventry Hills homes for sale & real estate in North Calgary. 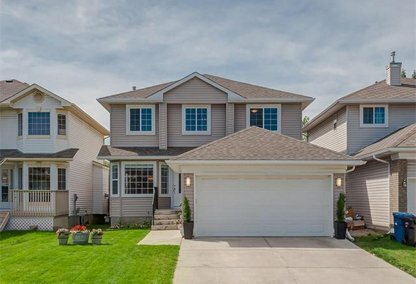 First developed in 1991, the Coventry Hills real estate market is a fast growing subdivision of modern homes in North Calgary. Today the community is home to more than 15,000 people. For information about Coventry Hills neighborhood properties for sale or to schedule a private home showing, contact your Coventry Hills Calgary real estate experts today. Coventry Hills housing market statistics: As of April 18, 2019 there are currently 52 properties for sale in Coventry Hills listed as active, with an average asking price of $404,401. The highest-priced property is $789,000; the lowest priced property can be purchased for $259,900. Coventry Hills neighbourhood listings have an average price of $289 per square foot, based on listings with 3.5 bedrooms, 3.0 baths, and 1,465 square feet of living space. Gearing up to buy or sell a home soon in Coventry Hills? Call Justin Havre at RE/MAX First at 403.217.0003. Your neighborhood Coventry Hills realty team is here to help navigate the Coventry Hills real estate market. The Coventry Hills real estate area is encompassed north by Stoney Trail, east by Deerfoot Trail and Nose Creek, south by Country Hills Blvd and west by Harvest Hills Blvd. Built for families, nearly all properties in Coventry Hills are single family detached houses. Coventry Hills homes are being listed in the mid-to-high $300s on average, and the home ownership rate in the community is over 95%. Easy access to Nose Creek, regional trail ways, skating, swimming, and rock climbing at Cardel Place provide many recreational options. There are also several golf courses in the near vicinity. When you are in the mood for a picnic or a walk in the open air you can make your way over to Nose Hill and West Nose Creek, which are both close by. Numerous shopping facilities are located in the southwestern corner of the community, and Country Hills Town Centre is close by. Proximity to major transportation routes allows easy access to many other parts of the city and the airport is adjacent to the community. The Northern Hills Community Association, which covers five area communities, offers the largest soccer programme in Calgary with about 1200 children participating. Parents can select from seven popular elementary schools including Alex Munro, King George, Simons Valley and Coventry Hills Elementary School. Some of the main junior high school options are Colonel Irvine, Colonel MacLeod and Simon Fraser. You’ll have a choice between four senior high schools including James Fowler, Crescent Heights, Queen Elizabeth, and William Aberhart High School. Looking to buy or sell a home in Coventry Hills? Let our team of real estate agents help you navigate the search for your next home and expertly negotiate the selling of your current home. As neighborhood Coventry Hills real estate agents, we know the dynamics unique to the Coventry Hills real estate market. We'll help guide your search today! Contact Justin Havre at RE/MAX First to find out more about buyer or seller representation. Hoping to sell your Coventry Hills home? Check out our free home evaluation, where you can instantly price your Calgary home online in minutes!